We take reports of inappropriate content very seriously and employ several layers of protection to try and prevent inappropriate content ever becoming public. Learn more about our Acceptable Content Policy and how we keep Makers Empire safe here http://help.makersempire.com/makers-empire-3d-app/acceptable-content-policy. 1. 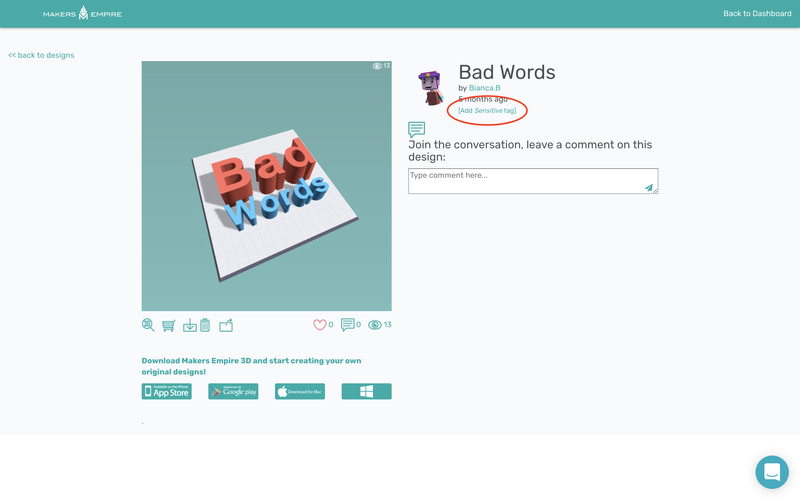 In the Makers Empire 3D app - report a design by clicking on the Report button (red siren). 2. 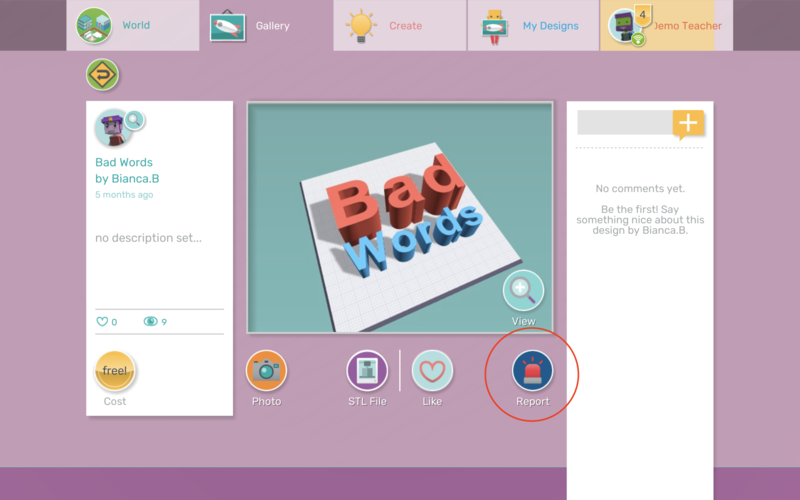 In the Teachers Dashboard - teachers can add a sensitive tag to alert us to the inappropriate content and immediately hide that design from public view. 3. Contact us by email or via online chat. Please let us know how to find the relevant design(s), e.g. the name of the design and/or the URL if you're using the Teachers Dashboard.